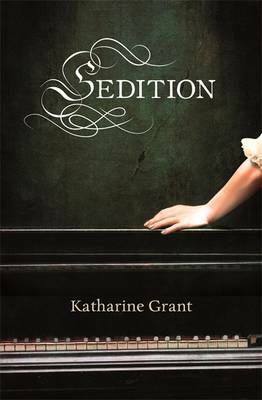 It was the title that attracted me to Katharine Grant’s Sedition, just one word that promised a great deal particularly as the novel is set in 1794, just five years after the beginning of the French Revolution. In fact political sedition is not the main theme of this bawdy, rollicking tale, although there are hints of events across the Channel together with a general mistrust of foreigners. It’s more to do with subversion of male authority. A City man with a fortune but no status approaches a pianoforte maker, passionate about his craft and arrogant with it. The City man has a plan: he and his four friends have daughters they wish to see married to gentlemen, that is men with titles rather than men of honour which seems to be an entirely different thing and not worth bothering with. They wish to buy a piano, the new-fangled instrument pushing the harpsichord aside in stylish salons, so that their daughters can show off their accomplishments in front of an assembly of suitably ennobled bachelors in the hope of gaining husbands: a cattle market, as one such ‘gentlemen’ later remarks, albeit an elegant one. Cantabile refuses to sell one of his precious instruments to such a vulgar person but his daughter Annie undermines him, enchanting Mr Drigg with her sublime playing while mortifying him with the sight of her disfigurement, the harelip which has so embittered her father. Infuriated, Cantabile devises a form of revenge: he will sell the piano providing the City men employ Monsieur Belladroit, a louche piano teacher who agrees to seduce all five of the daughters in the hope that their prospective husbands will return them to their fathers as soiled goods. The star of the show is undoubtedly Alathea Swaneyford. Motherless, beautiful, smart and far more knowing than she should be, Alathea stands apart from the other daughters: the gallumphing Marianne in constant competition with her sister Everina, the painfully ethereal Georgiana who refuses to eat and Harriet, already set on her common or garden next door neighbour as a mate. Claude Belladroit’s attempts to seduce each of them, some times getting more than he bargained for, and his surprised but delighted discovery that Alathea needs no such effort is a comic counterpoint to the darker themes of Swaneyford’s perversity and Cantabile’s poisonous taunting of his humiliated daughter. Orchestrated by Alathea, the daughters’ act of sedition is a comic turn, a little over done and over long, but satisfying nevertheless until tragedy intervenes. It’s a hugely enjoyable novel, liberally laced with a ribald, salacious wit underpinned with sufficient sobriety to save it from caricature . This entry was posted in Reviews and tagged Eighteenth century fiction, Katharine Grant, Sedition, Virago on 22 January 2014 by Susan Osborne. This sounds great fun, Susan. Just what is needed for the dull and miserable day we’re having here at the moment. One for the library reservation list, I think. Indeed, it is, Alex. I read it after two First World War novels, a much needed respite! I bought this the other day, on a whim. Wasn’t too sure if it was my cup of tea but now I’m looking forward to it after reading your great review – thanks! Thank you, and I hope you love it as much as I do!